Cav photos of celebrities that attended Kwesta’s wedding. 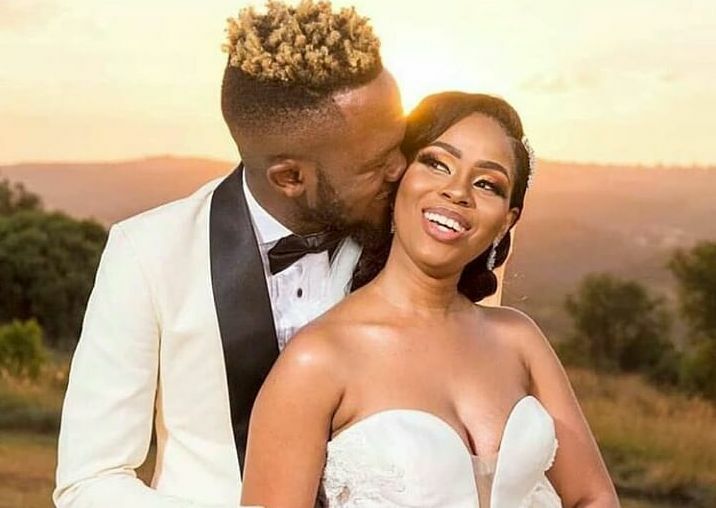 Some people say it was the wedding of the year, the nuptials between Hip-Hop act Kwesta and his wife Yolanda made headlines this past weekend. The young couple said ‘I do’ in an intimate ceremony witnessed by close friends and family. We spotted a number of well-known public figures who came to celebrate the newlyweds. Amongst the guests was artist Ringo Madlingozi who serenaded the couple with his old time favorite tunes. Dressed in a well tailored white jacket and crisp clean shirt, Kwesta was spotted all smiles alongside vocalist Vusi Nova and groomsmen Kid X and Yanga Chief. Female vocalist Thabsie was amongst the bridesmaids looking gorgeous in a fitted mermaid number. PEEP: Top three cute moments from the Vilakazi’s. Kid X and his partner Dudu.